In the wake of destruction, remote access to doctors is playing a key role in healthcare. There are currently three active hurricanes sweeping across the Atlantic, following just on the heels of Hurricane Harvey. And with Hurricane Irma poised to hit Florida after already devastating places throughout the Caribbean, the damage will only get worse. For future and present disaster relief, though, there’s a glimpse of hope coming out of the emergency response to Harvey: telehealth. Telehealth, or telemedicine, refers to remote care made possible by technology. As Leah Samuel writes for STAT, getting help to the thousands of Houston-area families affected by Harvey has been a “massive humanitarian effort,” which is complicated by the fact that “many of the displaced have chronic medical conditions like asthma or injuries from recent days that need medical attention,” she continues. That’s where telemedicine comes in, addressing potential shortages in doctors and connecting people with specialists who may not be able to physically reach survivors in the wake of the storm. This is already happening at Kay Bailey Hutchinson Convention Center in Dallas, Samuel writes, as people displaced by flooding have been able to see doctors remotely. Samuel describes how Children’s Health set up a station with a “computer monitor and specially designed equipment for measuring vital signs” so they can see patients remotely. This has proven especially beneficial for children. “We have doctors for adults available at the shelter 24 hours a day, but we don’t have as many pediatric specialists, especially at night,” Scott Summerall, a spokesperson for Children’s Health, told Samuel. Telehealth also can provide mental health support in the wake of natural disasters like Harvey. 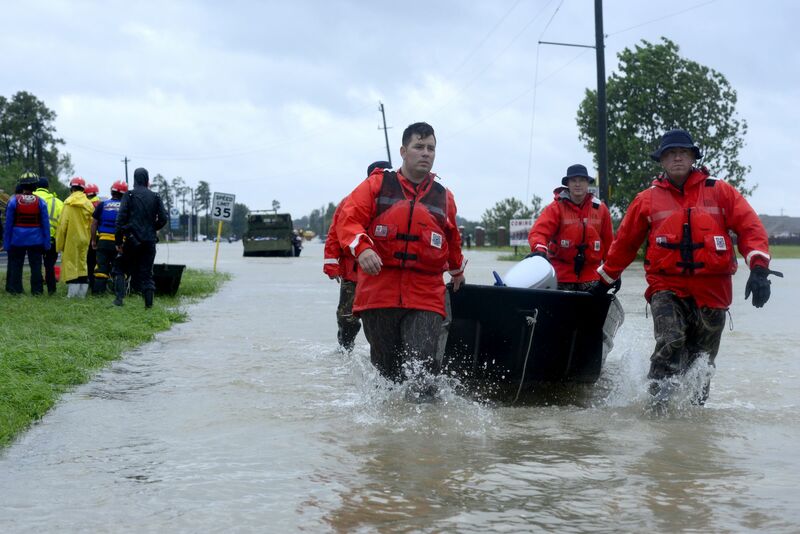 “A natural disaster of this size and magnitude, which will impact Houston far longer than the initial storm, can increase anxiety and stress for those affected by the storm,” Sweeney writes. “The accessibility of medical and mental health services via victims’ smartphones cannot be understated,” Nathaniel Lacktman, a partner and chair of the telemedicine industry at Foley & Lardner LLP in Tampa, Florida, told Sweeney. “For millions of people, the smartphone is their lifeline and can serve as the tether to reach doctors and medical professionals even when the local power lines are down,” Lacktman continued. Read more on STAT and FierceHealthcare here and here, and find out more on how to help victims of the recent hurricanes here.